General Motors CEO Mary Barra talks about the industry, her company and her career with Automotive News Group Publisher KC Crain during a gala celebration in November in Detroit for Automotive News' 100 Leading Women in the North American Auto Industry. 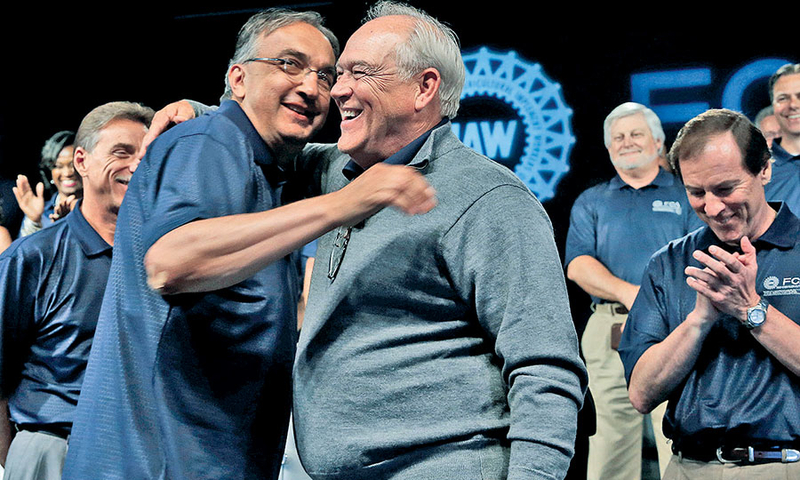 Fiat Chrysler CEO Sergio Marchionne, left, and UAW President Dennis Williams embrace before the start of UAW contract negotiations in July. 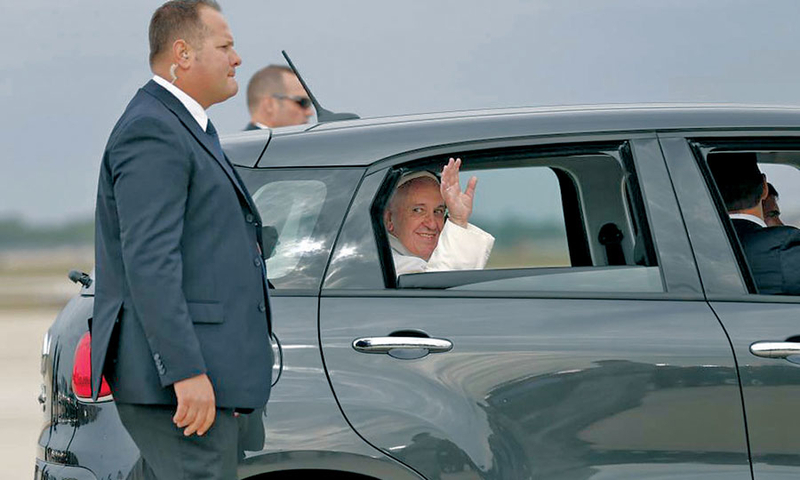 Pope Francis climbed into the back seat of a black Fiat 500L in September on his first visit to the United States. 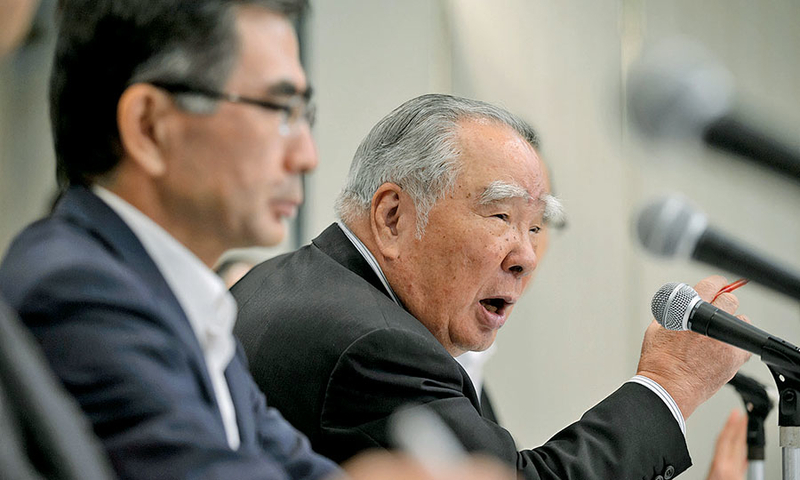 Osamu Suzuki, right, with his son Toshihiro Suzuki, at an press conference in August where he discussed his company's messy divorce from Volkswagen. The 85-year-old Suzuki said it felt like a little bone had been cleared from his throat. 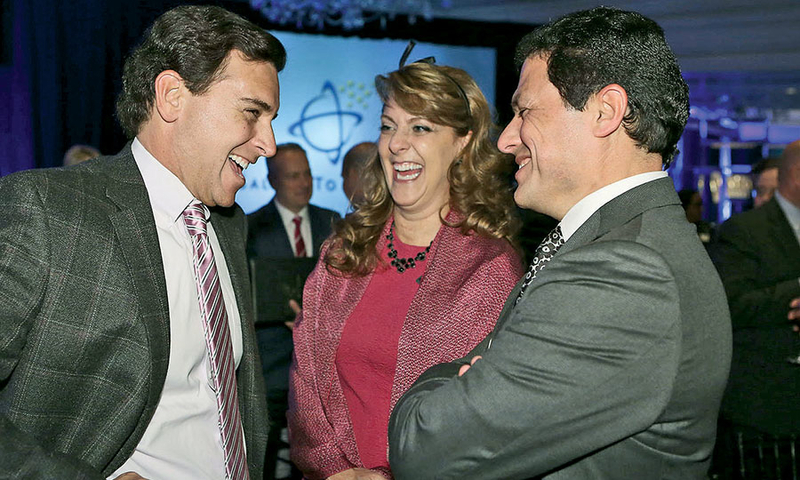 Ford CEO Mark Fields, left, greets Miguel Zapata of Ford Zapata in Tlalnepantla, Mexico, and his wife, Alondra Arau De Zapata, at the National Automobile Dealers Association convention in San Francisco in January. Zapata was one of six dealers honored for his charitable efforts.